Located at 5840 East Evans Avenue, Suite 305A in Denver, Colorado 80222, phone (303) 300-6976. The seamless integration of knowledge, skills, and intuition is a competence that cannot be taught, and must be learned on the job. Find Colorado Jobs - Part-Time and Full-Time Hourly Jobs on SnagAJob.com. 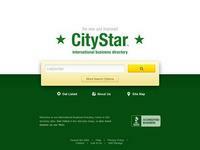 Search by City or Zip Code. The Country Best Solutions offers expert resume writing services.